CIO Review looked at hundreds of construction solution providers at the forefront of tackling construction management issues. The companies selected are considered to be leading the way in 2014 through their use of technology to solve construction challenges while supporting the core business processes of their clients. 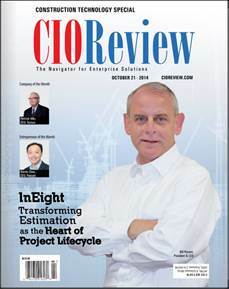 DELCON was pleased to be named as one of the top construction technology providers by CIO magazine. 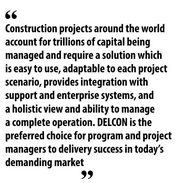 Page 33 details how DELCON is changing standards and expectations in the construction industry.